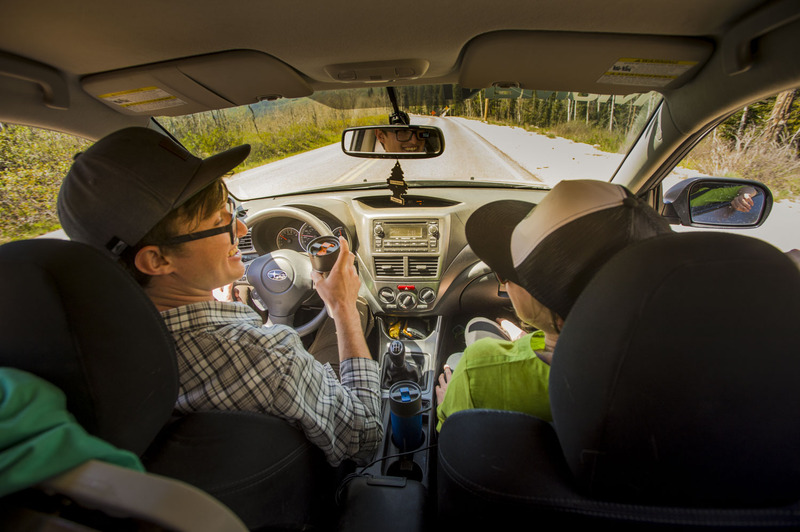 Late spring is the perfect time to get in a good road trip or two; it’s late enough to avoid getting caught in a snowstorm but early enough to avoid the summer break crowds. Now is the perfect time to hit the open road and visit those spots that end up being too busy in the summertime. Everyone has their own road trip style, from preferred playlists to snacking habits to optimal bathroom break timing. Even if you think you’re a road trip master, there can be something to learn from the pros: vanlifers. Vanlife is a 24/7 road trip, 365 days a year. If anyone knows about living life on the road and saving money, it’s them. We collected some vanlife tips to make your next road trip a little easier - and to make your car feel a little more like home. When your van is your home, you want to keep it in top condition so you don’t end up stranded while all your belongings are locked inside a mechanic’s garage. This is the same for road trips: while getting stranded on a mountain pass might turn into a good story one day, nothing ruins a good trip like a detour to the shop. Get your old beater serviced before you head out on the road and keep a stash of oil, jumper cables, a tire pressure gauge, and some duct tape handy in case of emergency and lack of cell service to google what to do. Vanlife takes a lot of sacrifices - and one of the biggest sacrifices is square footage. Living in a van-sized home means every inch of storage space counts. When on a road trip, your car is your home (albeit a short-term home). Take a tip from the vanlife pros: organization is key. Pick up some plastic tubs and organize them by contents: one for food, one for gear, one for clothes, etc. Tubs stack well and are a little more organized than ten backpacks stuffed into your hatchback. Keep the things you need most often (food, sleeping bags, the cooler) on top, so you can easily grab and go after spending all day behind the wheel. Invest in a roof rack if your trunk space is minimal and store away the things you won’t need on the daily. Make friends with basics and baselayers so your wardrobe is versatile - and leave the bulky or unnecessary pieces at home (we’re looking at you, leather jacket). Again, living in a van or car means there’s very little room for fancy gadgets or unnecessary gear. You want a no-nonsense cookset that is versatile but doesn’t waste precious trunk space. Get rid of that extra silverware, plates you’ll never use, or bulky coffee mugs. One cookset is all you need - where bowls double as mugs and forks and spoons are one in the same. For solo or couple road trips, opt for a simple set like the Halulite Microdualist - featuring a cooking pot and pairs of bowls, mugs, and foons for whipping up anything from morning coffee, a dehydrated camp meal, a can of soup, or some tailgate mac and cheese. For larger groups, try the Bugaboo Camper set, with two cooking pots, one pan, and four plate/bowl/mug sets that all pack inside each other for organized storage. Don’t forget to bring the stove - Walmart staff tend to frown on campfires in their parking lots. Vanlifers know how to maximize their nutrition in minimal space, and road tripping requires the same skills. Eating on a road trip can be a pain, and after a few days on the road eating In-N-Out for every meal starts to lose its appeal. Save your money and digestive system by bringing some essentials for yourself and shopping at grocery stores every few days you’re on the road. Vanlifers like to pack multi-use foods like eggs and rice, easy breakfasts like pancake mix and oatmeal, and dehydrated fruits and granola for snacks. When you stop to shop, grab fresh fruits and veggies - you’ll be forced to eat your healthy produce to keep it from going bad. That said, some of the fun of road tripping is trying new foods and eating out. If you can, eat out for lunch (restaurant lunch is usually cheaper than dinner) and enjoy dinner at your campsite to save some money for gas. One of the hardest parts of road tripping can be finding a place to sleep. Luckily there are plenty of resources for finding affordable camping spots so you can live like a vanlifer and avoid driving around some tiny roadside town trying to find a hotel at 1am. There are plenty of public land options for free boondocking or primitive camping: check out BLM land or US Forest Service camping options near your route. For more thorough camping options, try a search site like Free Campsites for info and reviews for everything from campsites to parking lots, or search on Hipcamp for listings under $25. The Google Maps app lets you download areas of maps to your phone, so if you plan ahead you can download directions to your camp spot and avoid sleeping on the side of the highway because you waited until it got dark to find a campsite. Take advantage of warmer spring weather and hit the blacktop before it’s too hot to function without air conditioning. Try these vanlife hacks to make your next road trip a little more pleasant… and who knows, maybe you’ll decide to live in a van down by the river!